“GOF research is important in helping us identify, understand, and develop strategies and effective countermeasures against rapidly evolving pathogens that pose a threat to public health,” said NIH director Francis S. Collins in a statement. The decision came after the Department of Health published a new review process for such research, which includes an eight-point checklist which evaluates whether making a particular germ more potent would be beneficial, ethical, safe, and to determine if there are any alternatives. “I am confident that the thoughtful review process laid out by the HHS P3CO Framework will help to facilitate the safe, secure, and responsible conduct of this type of research in a manner that maximizes the benefits to public health,” said Collins. 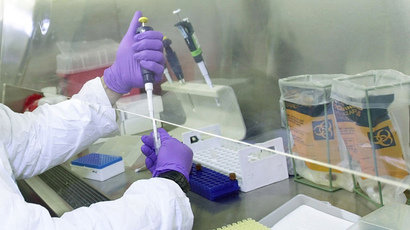 The 2014 federal ban came as a result of controversy over prominent cases; such as, when lab workers were exposed to anthrax, a facility sent out virulent flu samples by mistake, as well as more widespread laxities in the US research network. Out of the 21 projects frozen by the moratorium, 10 were allowed to go ahead through an exemption, and the NIH hopes the updated process is more systematic and avoids past lapses. “I believe nature is the ultimate bio-terrorist and we need to do all we can to stay one step ahead,” said Sam Stanley, President of Stony Brook University and chairman of the National Science Advisory Board for Biosecurity which helped develop the framework. “Basic research on these agents by laboratories that have shown they can do this work safely is key to global security,” he said in an email to the media. However, a large proportion of the scientific community remains skeptical of both the usefulness and safety of GOF research, which, by its very nature, tries to second-guess how pathogens could behave in the real world. “The engineering is not what I’m worried about. Accident after accident has been the result of human mistakes,” said Marc Lipsitch of Harvard T.H. Chan School of Public Health, who has published research claiming the dangers of a lab-manufactured pandemic are underestimated by vested parties. Michael T. Osterholm, Director of the Center for Infectious Disease Research and Policy at the University of Minnesota, told the media that a germ doesn’t even have to leave the lab to become dangerous. The research alone could get into the wrong hands, and should be partially classified, Osterholm cautioned. “If someone finds a way to make the Ebola virus more dangerous, I don’t believe that should be available to anybody off the street who could use it for nefarious purposes,” he said.